It?s hard to believe The Bute Dress Sporran is totally animal free. Featuring 100% acrylic faux fur front with fully lined interior. 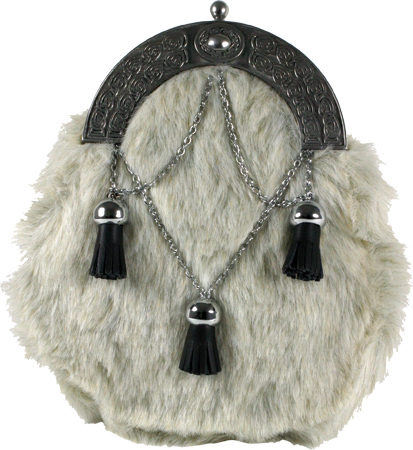 The fine detail on the pewter Cantle is enhanced by the three bells and chain tassel decoration. Supplied with a chain/strap style fastening attached via loops on the reverse. A magnetic catch holds your valuables in place.